Fifty years ago, on June 27, 1967, the world saw the birth of a self-service cash withdrawal machine. Barclays Bank in the United Kingdom gets the credit for launching the first “robot cashier” created by the team led by John Shepherd-Barron who wanted to create something akin to a chocolate bar dispenser but one that dispenses cash. Soon thereafter, other banks in the U.K. and Sweden also came up with their own versions of this convenient cash dispenser. Year after year, newer and better versions of the ATMs came out and more banks around the world adopted the technology. Fast-forward fifty years — there are now about 3 million ATMs around the world today, according to the ATM Industry Association. The ATM has also acquired new abilities beyond merely dispensing cash. These days, you can check how much money you have in the bank, pay for bills or purchases, deposit money, move money from one account to another or even donate to charity. Banks and engineers are exploring new ways to use ATMs securely; they are currently developing cardless ATMs that can verify your identity through biometrics (e.g. fingerprint or retinal scan) or your mobile phone so you can make transactions. As ATM technology progresses through the years, thieves and criminals have kept pace. Some thieves still use the tried and tested method of hauling the entire machine and bringing it to their lair where they crack it open without feeling any need to hurry. But, there are other sophisticated, less calorie-burning, electronic means to steal cash from an ATM. Jackpotting is one such method. The term references the way that a casino slot machine spits out cash when a player hits the jackpot. Security researcher Barnaby Jack demonstrated this method at a black hatters’ conference way back in 2010. It involved remotely reprogramming an ATM over the network or loading it up with malware through an open USB port. Another common example is skimming, which requires physical contact with a person’s ATM card. In a skimming operation, the fraudsters install small and difficult-to-spot card readers on the ATM machine. Most people can hardly detect them. The skimming devices read the personal data on your ATM card’s magnetic stripe. The data are then collected by the fraudsters, who can now use it to access your bank account online or create a clone of your ATM card. A variation of this method doesn’t require a separate card reader. Instead, the fraudsters install a wiretapping device into the ATM’s genuine card reader. When it reads your card, the fraudster is able to also know your data, pretty much similar to how a wiretapper can hear the conversation between the tapped parties. The device can even send the skimmed data to a nearby receiver. As a safety precaution, always check the layout of your bank’s ATM. If you notice anything suspicious, don’t risk using it. Always cover your fingers when you punch in your PIN, since most skimming operations also install discreet cameras on the ATM to capture your PIN. Regularly update your PIN, as well, and use a code that is not easy to guess. If you also use mobile banking, make sure that you protect your phone from hackers and follow privacy-protection practices. When you say “ATM machine”, you are being redundant. “ATM” means Automatic Teller Machine, so you are essentially saying automatic teller machine machine. 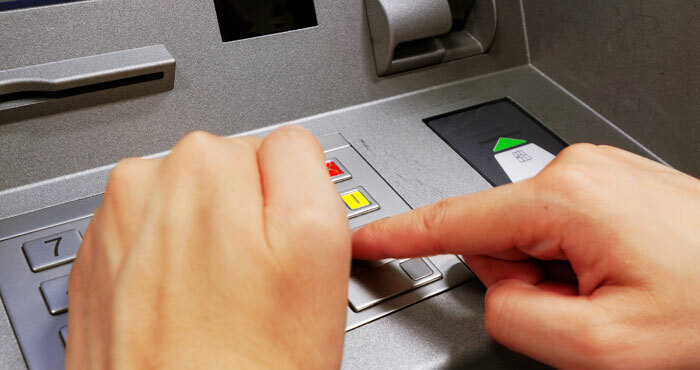 Shielding the keypad will help in a lot of situations, but there are also PIN pad overlays https://krebsonsecurity.com/all-about-skimmers/ which will capture the keys you press and renders shielding useless. So be VERY careful and wary when you use any ATM. Another method that might help is that some banks use cardless withdrawals by generating a one-time PIN/code on a smartphone. That way the card isn’t used so the hackers can’t get the card info needed to hack into your account.